I never did truly enjoy Shatter Glass Jazz's deco... or the toy really. That mold is just a pain and not very Jazz like and the chest... ugh. 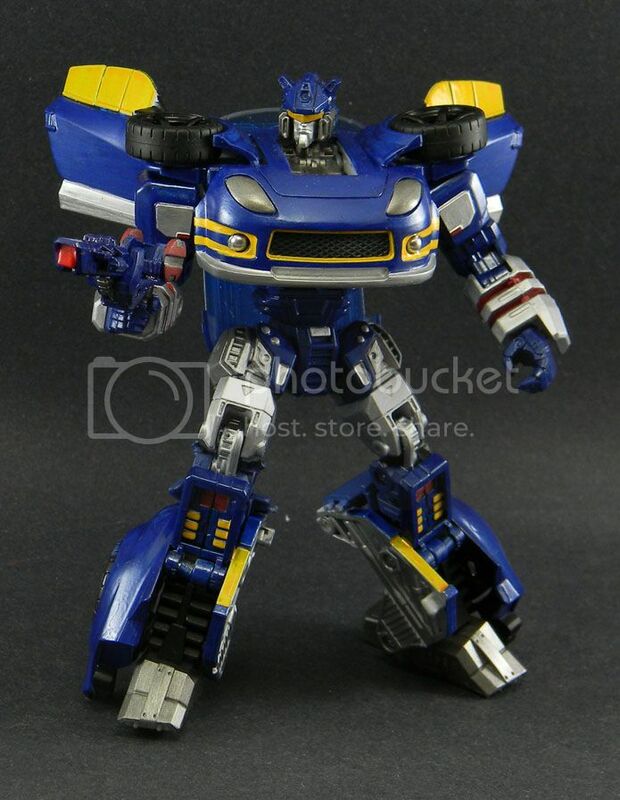 Anywho, FP kept his deco close to G1 Jazz so the figure would also serve as a modern update for the character. Ya see at the time there wasn't one on the horizon. Times change and we have one now! So then I look at SG Jazz and really... he needs to be a bit different. The official fiction has him as the jive talkin' body guard of Optimus Prime but in my head I would want to give him a reversal instead of an extreme version of his personality. With that I now show you one of my super long term projects. Something that has been in the works since it was easy to find the RtS mold on the shelves. This is my SG Jazz! He's still not complete and may not be for quite some time but I REALLY love the colors on him. Ah, excellent. Especially considering Soundwave is all white with some blue. I'm seriously considering putting stripes on my Sir Soundwave.